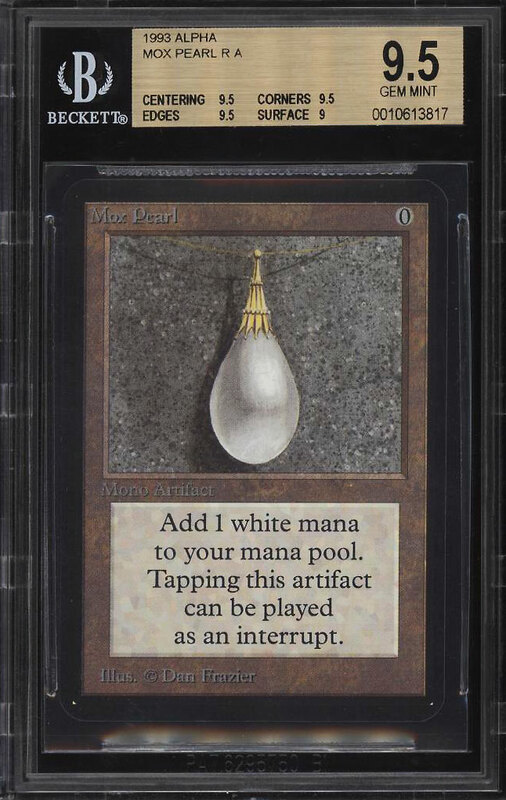 Absolutely gorgeous MTG Alpha Mox Pearl up for bid this month. The offered Beckett 9.5 shows exceptionally well throughout with near pristine centering, perfectly formed corners and chip-free edges. The surfaces are harshly assessed and boasts exquisite print, color and focus throughout. This card easily ranks among the finest copies in the hobby. With a print run of just 1,100 of each rare card being produced, and the vast majority being played/damaged; this number doesn't even come close to satisfying the demand. A truly incredible offering with 4 of the 9 power nine's being auctioned with no reserve. Comes highly recommended by PWCC. 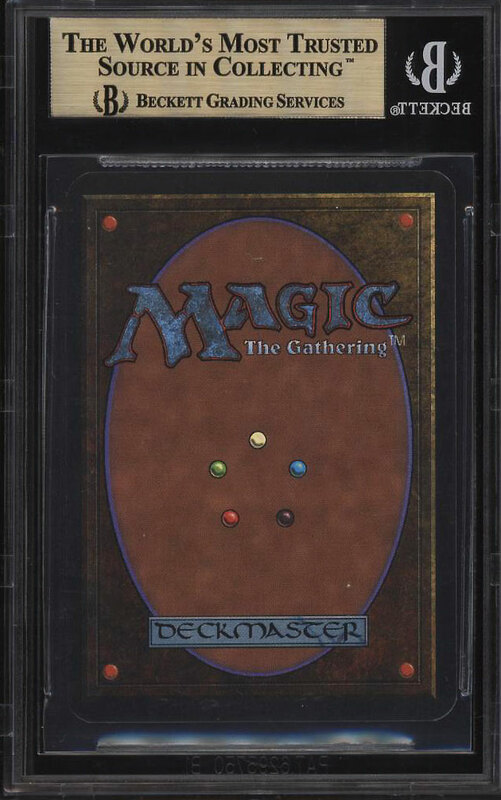 Part of an ultra impressive run of high-grade '93 Magic The Gathering examples on the auction block this month. One of over 18,000 cards, lots and sets up for bid in our 6th Auction of 2018. Click on the link above to view the other PWCC auction lots.